The 10 Best Shoe Stores in Ohio! 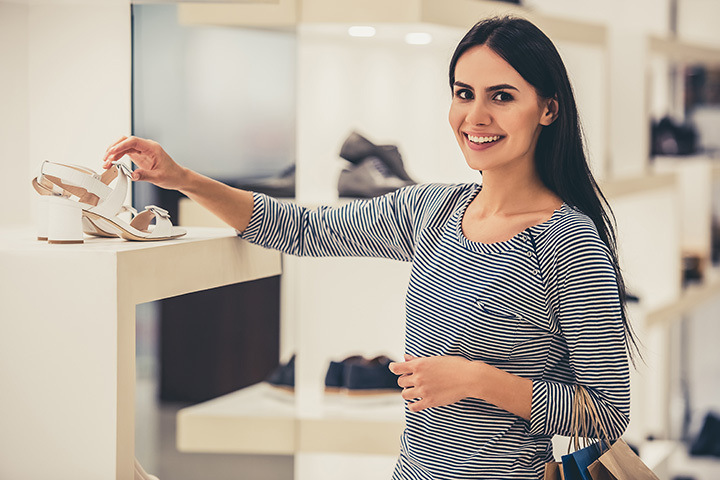 It doesn’t matter if you’re looking for the latest in athletic sneakers or a pair of boots for the winter, the local shoe stores of Ohio will outfit you with the best of the best. Not only is the selection tops, but you’ll be impressed by the personable customer service, too. For a variety of brands and styles, check out the 10 best shoe stores in Ohio. Fleet Feet Sports is home to Cincinnati’s largest selection of running and walking shoes. This isn’t your typical shoe store, instead they are very active in the community often hosting many events around the city. They’ve created a one-of-a-kind experience at their store so be sure to check them out. Bob Roncker’s Running Spot is a shoe store that provides expert-level guidance on finding a great pair of running or daily shoe. Saturdays they have free consultations with doctors who will help assess your foot health and find the best pair of shoes for your feet. Cleveland Running Company is a local shoe store and offers a great selection of running, walking, and hiking shoes. They also carry apparel and nutritional products to help you maximize your workouts. Cerny Shoes is a classic shoe store for men and women that’s been open since 1903. They specialize in finding hard to find sizes from size five to 18+. They carry all of the best brands including Florsheim, Rockport, New Balance, Red Wings, and much more. Mar-Lou Shoes has been serving the Cleveland area’s shoe needs since 1958. They’ve grown into one of the largest shoes stores over the years and specialize in having a large selection of fashionable styles for men and women. The knowledge of their staff is second to none and will help you find your next perfect pair. The Unger’s Shoe Store is a family-owned specialty shoe store that carries all of the top brands including Birkenstock, Clark, New Balance, and many more. Their highly-trained staff includes two certified podiatrists that can help with measuring and fitting you for the right pair of shoes. Buzzard’s Family Shoe Store is a classic shoe store that has been open since 1962 and prides themselves on customer service and helping guide you to find the perfect shoes. They will help measure and assess your feet to help you make the most informed shoe buying decision as possible. Dave’s Running carries shoes for competitive runners, active people, or anyone who just wants a great pair of shoes. Their expert trained staff will listen to your fitness goals, interests, and take into consideration any aches or pains you have to help you find the best shoes for you. Find locations in Sylvania, Perrysburg, Findlay, and Delta, Ohio. The Shoe Horn in Cuyahoga Falls, Ohio, has been specializing in foot comfort and support since they opened their store in 1986. One of their owner’s Anthony is a certified podiatrist who is exceptional in helping customers find the shoes they need and can help fulfill physician’s prescriptions for maintaining foot health. Foot Solutions is a shoe store manned by an experienced team of foot care specialists who will measure and evaluate every aspect of your feet. With their expertise they and by carefully listening to your goals they will help you make an informed decision on the best options for your footwear needs.